Maximizing the wonderful natural attributes of the islands we created Team Building events for your group to participate in, to experience, entertain, and amuse while building teamspirit and boosting morale. Beach Olympics are a terrific icebreaker and fun team building event. Everyone's back to basics - sand buckets and spades, and yes it's all downhill from there, not a dignified activity to be found. This is sure to bring out those hidden talents... 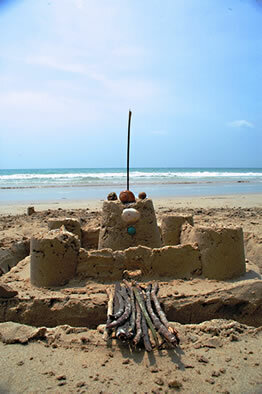 Sand Sculpting, Coconut Tossing... Build team spirit and get to know your fellow "Olympians" as you never have before. Work up an appetite for a hearty lunch and afterwards soak up a little sun. What a day and what fun! The meeting's over - let's get sailing and have some well-earned fun. The warm breeze on your face, the sun shining and it feels like summer in January! 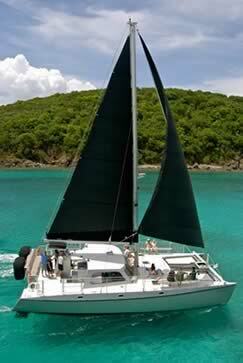 A leisurely sail with a stop to swim and learn to snorkel - Go On, Frolic! With an open bar and snacks, what an enjoyable way to spend the afternoon or morning. Sun glinting on aquamarine water, sails snapping in the breeze and lush tropical islands on the horizon - spend the day sailing in the Virgin Islands. Explore tropical reef, swimming and snorkeling in crystalline waters with a myriad of exotic fish and marine life. Feel like Robinson Crusoe leaving your footprints on a white sandy beach. Enjoy lunch either aboard your boat anchored in a secluded bay, on the warm sands with your toes in the waves or in a beach shack. After lunch, sail a little more, relax... you're on "island time"... now you're Limin'. Organized as either a group or teambuilding event - this is a lot of fun for all the participants. 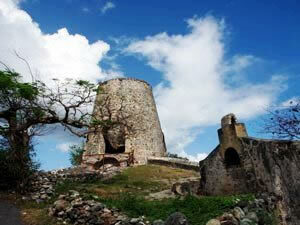 These events are a opportunity to see and learn a little more about the U.S. Virgin Island and St. John in particular. Meet the locals, hear tall tales, quirky facts and a colorful slant on history. 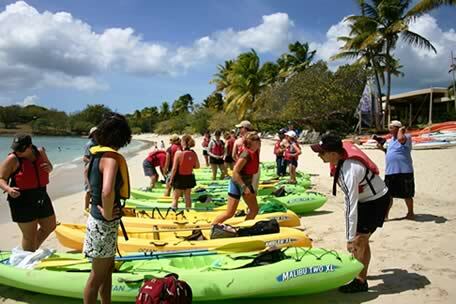 This teambuilding or group event gets everyone out on the water, exploring both the U.S. and British Virgin Islands (Passports Required). This event can be organized in U.S. waters and no Passports Required. Interact with the locals, more tall tales and those quirky facts again. 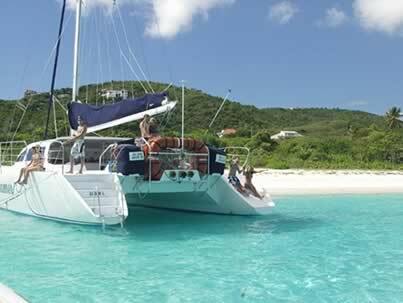 Visit one of the most popular destinations in the Virgin Islands - The Baths on Virgin Gorda. 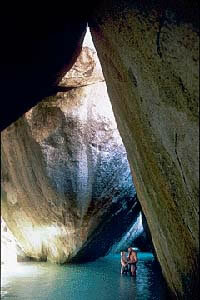 The Baths are giant boulder formations, creating unique grottoes and pools of crystal clear water and walking paths wending their ways through this wonderland. Swim and snorkel here and again later at other locations on this full day tour. Passports Required. 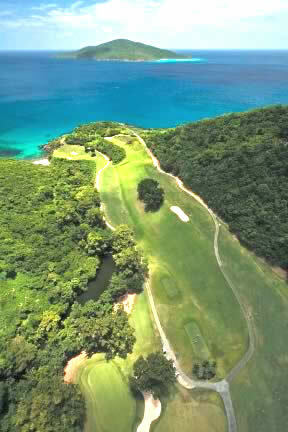 Golf at Mahogany Run, St. Thomas - this is a challenging 18-hole Fazio designed course, with tees perched high on cliffs that plunge dramatically to the Atlantic Ocean, crashing below. The demanding Devils' Triangle and other unique features will test your golfing skills. Golf tournaments can be arranged as a group activity.